The absolute best in all that they do. You're wasting your time heading elsewhere. Let them be your first and your last stop. Employers often sabotage their businesses and profits through their lack of understanding of the workers’ compensation process. 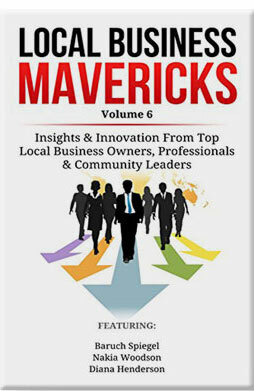 This book was written to provide insight into how the process works and how an employer plays such an integral role in that process. 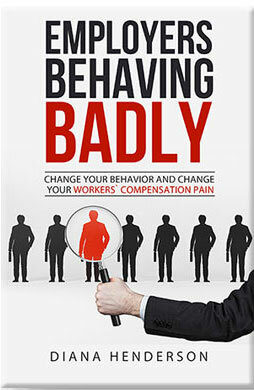 This is not a book on how to handle a workers’ compensation claim and it is not a book for injured workers. Instead, this book is a guide that provides an employer with some valuable tips and tools to save money (and headaches and hassles) that have been successfully implemented by many of the author’s clients. You are a business owner who someday wants to grow your business and have employees. 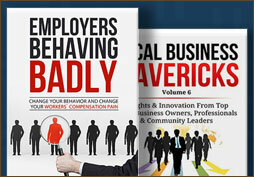 You are already an employer and think that you do not or cannot impact your workers’ compensation costs. You want to spend the least amount of money possible on your workers’ compensation premiums. Diana Henderson is a workers’ compensation guru. Her business is to help other businesses reduce and control their workers’ compensation costs. With almost three decades of hands-on experience, Diana has helped her clients save tens of thousands of dollars on their workers’ compensation premiums, and in some cases hundreds of thousands of dollars. Her first book “Employers Behaving Badly” was written with the express purpose of sharing some of the valuable tips and tools that have been successfully implemented by many of her own clients. Diana is also an educator and speaker where she shares her enthusiasm and expertise about workers’ compensation to help employers change their behaviors and feel less pain.